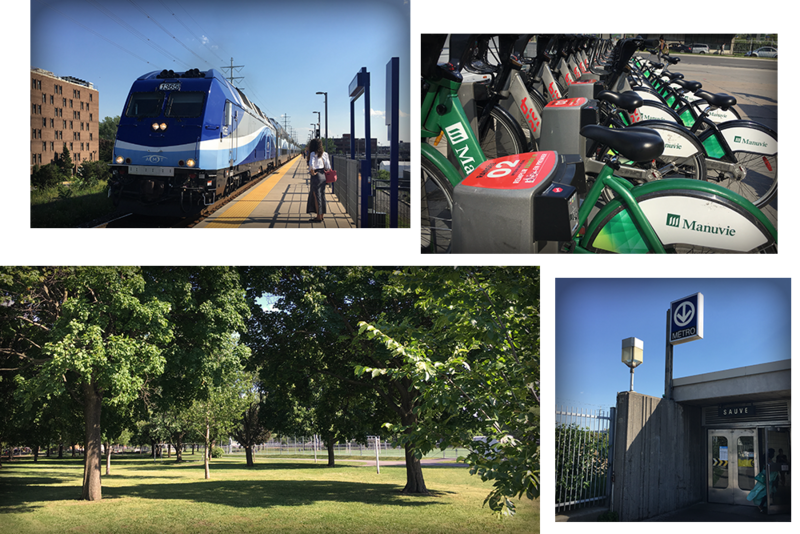 Ahuntsic offers the best of both worlds: city and nature. 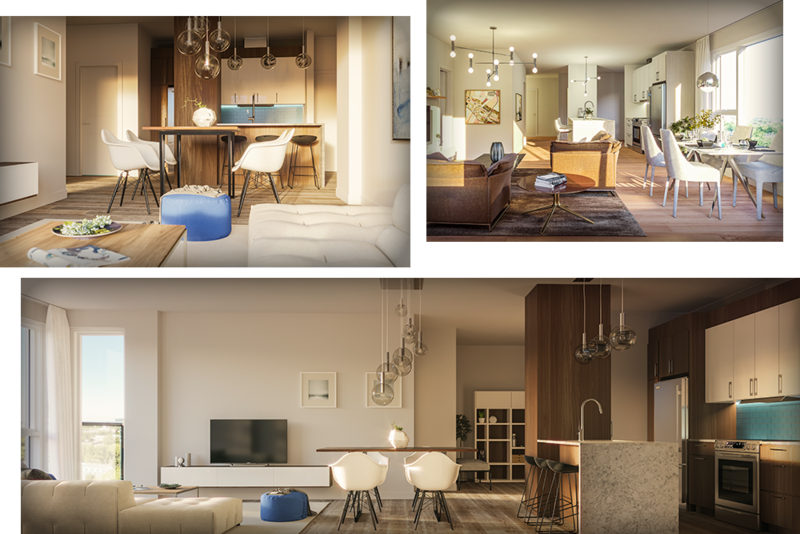 A neighbourhood where single family homes, condos and apartment buildings live harmoniously. A modern backdrop representative of the history that shaped the area. With Rivière des Prairies acting as its northern border along with its numerous parks, Ahuntsic swiftly makes us forget that Montreal is home to more than 2 million people. Discover the four reasons that made me fall in love with this neighbourhood. This vast park, minutes from Aldea, will please those seeking activities as much as those simply looking to relax. Baseball, basketball, rugby, soccer and tennis, as well as a skating rink are sure to please the athlete in you. For the little ones, a playground and a wading pool await. Looking to gather with friends and family? A welcoming BBQ area allows everyone to make the most of this multifunctional park. A short walk away, Ahuntsic Park is an urban oasis. Its centennial trees, fountain and vast lawns will charm you. Hosting concerts and cultural events, this park characterizes the neighbourhood. 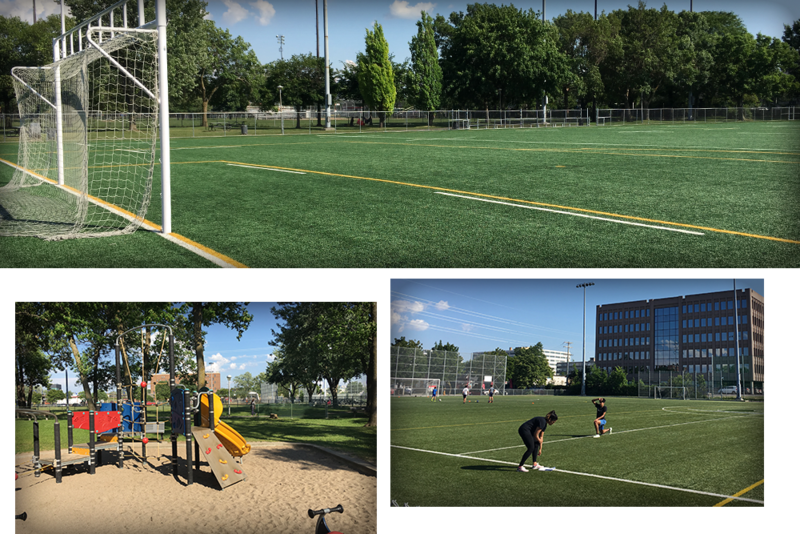 Enjoyed by Ahuntsic residents and visitors, the park also boasts a playground, exercise areas, a dog run, etc. One and a half kilometres from Sauvé métro, this park borders Rivière des Prairies. Among other things, it is home to the Circuit des Berges’ welcome pavilion. From here, along the pedestrian or bike path, make your way east to the beautiful Île-de-la-Visitation Nature Park, or head west to visit Bois-de-Liesse. The Promenade is located on Fleury street between St-Hubert and Papineau. Opened thirty or so years ago, it is continually expanding and known for its refined businesses and trendy coffee shops and restaurants as well as its somewhat European feel. Pastry and cheese shops, bakeries, and other delicacies make this a foodie’s destination; cultural activities throughout the year add to its appeal. According to the Promenade’s website, there are 245 businesses, three pianos, three book-sharing boxes, visual art installations and more.